I’m sure that some of you have all your recipes on-line and (could it be?) don’t have a cookbook of any sort in your house. Most of you, I know, have from some to many cookbooks plus a personal recipe file or binder. As I wrote last week, I have a couple of cookbooks, and I have a rather large recipe binder, which I use almost exclusively. The recipes I have tried and want to make again are at the front of each section. Recipes I hope to make are stored behind these. I try to be brutal in deciding if a recipe is worthy of being added to the book. I hope to make any recipe that I clip from a magazine or newspaper within the next month, preferably within the next week; otherwise, it’s in danger of becoming aspirational clutter. In addition, I try to be honest about what I really will make. I am a successful and functional family cook. I am not a gourmand (or as we like to call them in the United States, I am not a “foodie.”) While Chicken with Garbonzo Beans and Fennel may sound delightful, the truth is that in the last 48 years, I have never to my knowledge eaten fennel, and I am not likely to start now. To store the recipe would be to add aspirational clutter to my cookbook. I use the on-line source allrecipes.com for the majority of my explorations into new recipes. I occasionally see a recipe on-line that I’d like to make and store it in the “recipe box” that All Recipes provides, but most of the time I make the recipe by reading it right off the computer. If I like it, it gets printed and stored in the binder. If not, I just shut down the computer. It’s easy to pull recipes out of the newspaper and magazines, especially if you have a subscription to a cooking magazine such as Vegetarian Times or Cooking Light. Try to be realistic. Clipping more recipes that you can or will ever make adds clutter to your life and makes it harder, not easier, to make decisions about what to have for dinner. Most of us only make a handful of recipes over and over again. That’s okay. And if the occasion ever arises where you really are going to make Lobster Nurenberg or Châteaubriand, there are plenty of on-line guides, as well as the library, to help you get that special meal just right. I have a package of cooked chicken that has been diced or shredded in the freezer, as well as meal-size packages of ham. I also have a wide variety of frozen vegetables. Six can soup. I use frozen chicken, rather than canned, and add cumin and oregano to this basic recipe. Tortillas with canned beans, cheese, and the frozen chicken. Red beans and rice mix from the pantry cooked with sausage links from the freezer. Paper clutter is one that really bogs people down, and dealing with a bunch of unnecessary paper clutter at the same time that you’re trying to make a meal is just unnecessary. I challenge you to go to your recipe box right now and recycle 10 recipes that you know you’re never going to make. It’s okay. Let them go. There are millions and millions of delicious foods in this world. Ten recipes fewer aren’t going to keep you from a delicious life, but they could keep you from finding that recipe that you really do want. 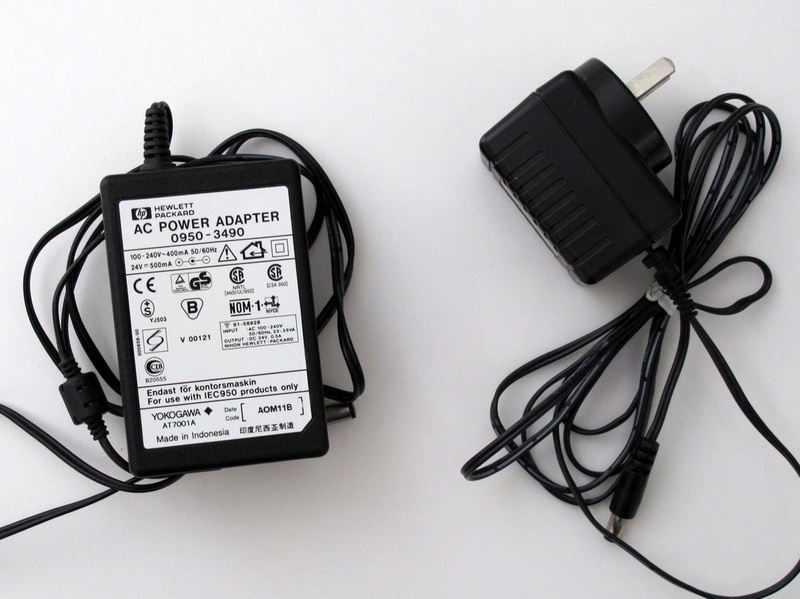 One of these cables belongs to something we don’t even own any more and the other has a US plug. So neither are of much use to us. These two will go in the trash as I think they will be of very limited demand or use here in Australia. Correct postage calculations on ebay sales. I love to go to the post office to mail off completed ebay actions and find the postage is exactly what I am expecting. Couple that with the fact that more stuff has left my house and I am a very happy lady. I really enjoy reading your blog, thank you for so many sound ideas. I cleaned up my recipe collection (or “mess,” rather) by digitizing it. All the scraps ripped out of magazines, old recipe cards, etc. have been scanned and put onto one memory card labelled “Cookbook.” I have toyed with the idea of scanning my actual cookbooks, but can’t decide if I should. I think I just like collecting them! 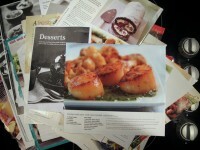 I think that scanning your cookbooks would only add digital clutter, in addition to taking a significant amount of time. At most, I think you should can the recipes that you value. Mine all live in a binder but sometimes it’s annoying that every page is a different size and shape. I’m slowly putting everything into a book on tastebook.com and adding my own pictures. Food and photography at the same time! I might try home-made family recipe cookbooks for holiday gifts next year. If that works for you, that’s great. I think part of the “realism” of a cookbook is that all the recipes look different. They remind me of different people, different times, even different magazines. Great post! I agree with using the computer for the recipe and making sure you like it before printing it. It is more eco-friendly and you don’t waste paper or ink which will save you money. I think it is important to have a back up of your favorite recipes somewhere just in case something were to happen to your binder. You want to pass them on to your kids, etc. so they can make them if they want to! I don’t have a backup of my binder. I can see your point, but I’ve decided that my recipes are so replaceable that I could find duplicates / similar recipes if I had to. I did a big purge of my recipes awhile back. I don’t enjoy cooking–I enjoy baking, and it finally occurred to me that all those recipes I had saved for “some day” probably wouldn’t ever get made. What a relief it was to toss a huge pile of clipped recipes into the recycling bin. I also got rid of all the cookbooks that never got used, and kept only the basic cookbook I bought 35 years ago, along with a couple of community cookbooks, which always have the best recipes in them. If I ever decide to get more creative in the kitchen (not likely, lol), I have endless recipe inspiration on the Internet. There’s a lot of freedom in admitting that you don’t enjoy cooking, and getting rid of all the recipes and cookbooks that just bog you down and make you feel slightly guilty that you don’t get all excited about trying new recipes. Absolutely! Why should cooking be a “craft” that everyone enjoys? We don’t all enjoy needlepoint or oil painting. Yes, we all have to eat, but you can sure free yourself from the feeling that you should be doing more / better than you are. I could have written Becky’s comment above! And Cindy, you nailed it. I’ve finally admitted to myself that I’m not interested in doing more than the basics for most meals. I eat fairly plain meals, and I’m happy without a lot of variety. Luckily, my family is the same. I just decluttered 10 recipes. Thank you.
? Most of the time, I’m cooking one meal. So, obviously, about anything would go into “Main Dishes” for me. Except cakes and cookies which might fit into “Desserts”. But never in my life have I prepared a salad or an appetizer which I needed a specific recipe for. I find that pre-printed notebooks, planners, etc rarely fit my needs. I just make a new label and slap it right over their label. Later, if my needs change, I can rearrange the labels again. I recently updated my cookbook labels when ceratin sorts of recipes kept eluding me. In my case, having more specific designations helped. I did the same thing yesterday, however not all recipes are sorted yet. My devisions now read “fish”, “meat”, “vegetables”, “sweet dishes” and “baking”. Maybe I’ll add some more specific later on, but for the moment that will do, I think. When I find a recipe online, I paste it into Google Docs. I usually print it out the first time I try it, then I annotate the changes I made and various reactions in Google Docs. If we liked it, it stays. If we didn’t, it goes. Tonight, I’m trying two Broccoli gratin recipes that I found online (two because for some reason my daughter purchased a huge container of frozen Broccoli cuts). I like to try two variations at once so we not only have leftovers, but we can vote on which one we prefer. Sometimes elements of both recipes end up in the just one recipe; other times we chuck them both, and I search for a better variation. Google Docs is fully searchable, free, and allows you to put documents into “collections” which serve as folders. Interesting. I’ve used Google docs when planning a gala for my daughters’ school with a committee, but I had no idea what sort of versatility it might offer. I have a ‘baking’ themed housewarming, so I’ll target recipes that have been stuck into my recipe book for the last, well, coming up 10 years. I mean, if they aren’t made yet, will they ever be? Snosie, Snosie. Get rid of that aspirational clutter and the regret that goes with it! Recipes that haven’t been made in the past 10 years aren’t likely to get made this week either. Say good-bye! OK OK… I can make the cut, I know I can!! (I think not having the net for a few weeks makes me ‘value’ printed out recipes more than I usually would). but you’re right, things not yet made, won’t get made! AAaaah, paper. what would we do without it? as a daughter of a paper hoarder the stuff annoys me even more than average people. Luckily at work we’re pretty much working paperless nowadays. Still it creeps into my home. The collection is next Thursday though, so again 2 big moving boxes full of paper get recyled then. Haven’t found the recipe binder yet after the move, but haven’t missed it yet either. So I guess when I find it I can just chuck it. I think recepy was awesome, I knew what you wanted to say, and thought, perhaps we should spell it like that! Oh, Hunter! I am with you. Just two days ago, after tackling a persistent paper pile, and not letting myself get up from my seat until it was done, I tried to imagine my house without paper. (Well, except for books-let’s not get crazy!) It actually made me feel a little queasy, even though it looked great. Paper piles are one of my biggest/hardest forms of clutter. One of the things that is particularly challenging about paper is that even a small pile might have a hundred things in it. Tossing ten, though right in step with the item a day philosophy, seems like nothing. But, Cindy, I will do it! My recipe folder is bulging, despite recent efforts- maybe after today it will bulge a little less. I did it, and it looks great. Once I got started, I couldn’t stop with 10. No more bulginess. Woo Hoo! Well done Sabine. Awesome. I’ve been avoiding my recipe “box” for awhile now. I cleared out 40 recipes & have no doubts I won’t go back through that box again tomorrow & have a second look. I know now what I’m not going to eat such as: anything that requires me to buy a speciality spice like saffron or anything that requires me to make a dough or anything that requires too many ingredients or anything that I can’t easily buy already made with a less effort /cost ratio like chimichanga’s. I’ve been holding on to a homemade chimichanga recipe for like 8 years now. Never once have I made it & every time I go out to eat Mexican – I don’t ever order a chimchanga. I used to eat those back 20 years ago but back then I could eat anything that fattening & it didn’t matter – now not so much. So any recipe I ran across this morning that I knew I wasn’t about to try or haven’t tried yet…got pitched. and a warm welcome to you from 365 Less Things. Thank you for dropping in to leave a comment. Well done with the recipe declutter you got rid of quite a bit of aspirational clutter there. We do get to a point where we realise our limits when it comes to what we want to stock in our pantries, how much time we are prepared to put into a meal, and what it is we can eat without laying on the pounds. So why kid ourselves that we are going to make certain things. And why bother cluttering up our houses with something that is in unlimited supply. Should we change our minds there will always be plenty of recipes to access. I don’t use my recipes often, but when I need them, I need them–for cookies, bread and pies, mostly. The big changes in my recipe collection came in two stages–the first one was when I spent hours waiting for my son while he was busy in meetings I had to drive him to, so I went through all my recipes and typed the ones I wanted to keep in to my computer; the second change was fairly recent when I changed my food choices to vegan. No more beef, cheese or chicken dishes. Like diabetes – having a radical change in needs leads to a radical change in your cookbook. I can’t imagine typing up my recipes, though, no matter how long I was waiting for the child at music lessons! Yes, when I went through my (many, many) recipe books, folders and clipping, the first cull was to get rid of anything that “mainly meat” (I can’t/don’t eat it, and two years ago, my husband joined me in this) – that cleared out heaps. Then, more recently, I admitted I don’t enjoy baking, I never bake these days, and probably won’t do much of it again – that caused another, rather less total cull, which lightened the load further. Reading Willow’s and Cindy’s comments above, I realise I haven’t EVER culled my computer recipes. These I typed into my husband’s computer in 1990 and have added to, down the years. I culled the printouts, but not the originals (I just upgrade the files each new computer upgrade). And today, I have invested in an ipad 2 – and will be able to cook directly from the computer (if I want to) for the very first time! A kindred spirit with Colleen! : ) Feel free to toss your recepy binder when you find it if you don’t need it. There are plenty of other places to get inspiration, and heck, I went on a date once (just once) with a fellow who ate out 21 meals a week. Worked for him. I struggle with lunch out once a week – my colleague now knows we go to the same ‘mall’ and I get the same thing… saves stressing out, deciding, will it be good enough, will I like it, is it ‘worth it’…. 21 meals would be torture! I follow a very similar organization for my recipes. A few years ago I realized that I didn’t make new recipes or repeat recipes because they were intermingled. So what I did was separate into 2 binders set up with the same dividers. 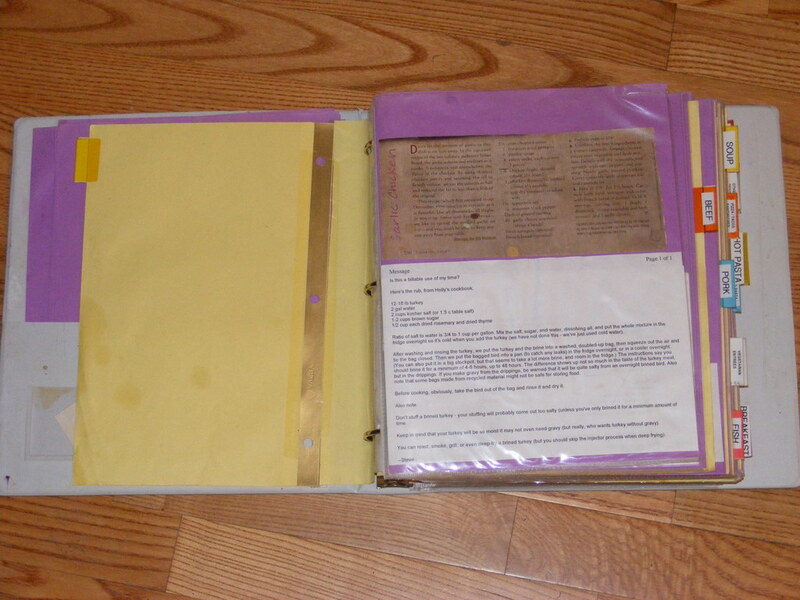 One binder has untried recipes and the other only has recipes that I’ve made and liked enough to make again. This way nothing gets “lost” for me. I love your blog and should comment more often. Nine years ago when we were about to move overseas, we sold everything. I went through all my cookbooks, typed out my favourite recipes and put them in a binder before selling all my cookbooks in a garage sale. Unfortunately, after we’d sold our house and virtually everything in it, to cut a long story short, the move didn’t happen. Cindy will be happy to have inspired you. Recipes are one of those aspirational clutter items that really do pile up when you aren’t paying attention. Before you know it you have so many you can’t be bothered rummaging through them to find the one you remembered you would like to try. I find the easiest way to avoid this problem is the same way I avoid internet shopping. Don’t look! I don’t buy magazines and I don’t browse cookbooks. If I decide I need a recipe I google for it, try it and discard it if it isn’t good. No clutter required. When my MIL died, I wanted to keep her main cookbook to see what recipes she made most often. It was an old Betty Crocker and she had many recipes tucked inside (just like my books). So, I took a few hours and culled the ones I thought I would never make and then went on to several of my own cookbooks. I love cookbooks and can just read them like a novel but how many?? I have given quite a few away but still have about a dozen. I will be going through them and taking out the “tucked in” slips of paper if I don’t think I will ever make them. One of my goals is to take everything I have printed, punch holes in it and put it in a notebook by category. As we try it, it will stay or go. I have collected way too many boxes of magazine recipe cut-outs. Lots to go through but glad to know I am not the only one with these issues. This is a good job to work on while watching the hockey game tonight. You’re right that this is a decluttering project that lends itself well to doing while you watch TV (as long as not something your too engrossed in).